For over three decades, the custom glass fabrication experts at Glasswerks have been producing a wide range of custom and architectural glass products for customers in the Los Angeles, San Diego, and Las Vegas areas, as well as Hawaii. We cut all of our glass shower doors using state-of-the-art waterjet glass cutting equipment to ensure extreme precision, fast turnaround, and a perfect fit every time. High-quality, American-made mirrors are available with a full range of features and options. 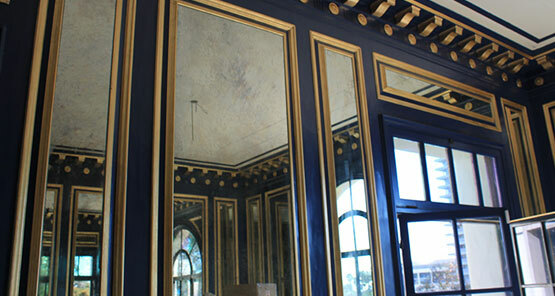 Mirror fabrication capabilities include cutting, beveling, and edge finishing. A unique line of decorative glass products that includes traditional spandrel, silkscreen printed glass, and our stunning GlassFX digitally printed glass. Insulated glass units (IGUs) designed for maximum energy efficiency and performance as compared to standard single-pane, monolithic glass options. With sizes up to 130” x 300” available and a variety of products and substrates, Glasswerks is the largest fabricator of architectural glass in Southern California! 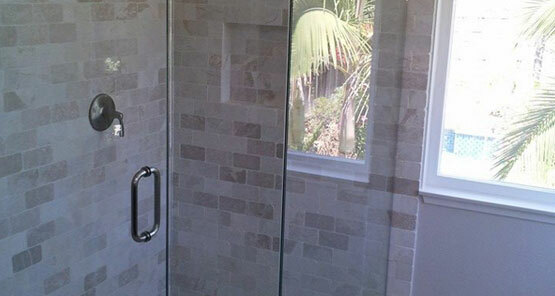 Frameless glass shower doors have been the worldwide standard in luxury bathrooms for decades, and our dedicated glass shower door team has over 50 years of combined experience. Our commercial glass doors and entry systems are the perfect way for customer to express style, quality, and precision with the clean, modern look of glass at the entrance to their office, store, or other commercial space. Laminated glass is constructed using a combination of high heat and intense pressure, fusing two panes, known as “lites,” together with one or more interlayers made of polyvinyl butyral (PVB). We can supply the bent glass you need for your architectural project, no matter how large or complex! We use sophisticated, computer-controlled hot-bend glazing equipment to create flawless bent glass. All of the custom mirror products we provide are available in case quantities, truckloads, stock sheets, stoce, and more to suit the customer’s specific requirements. Bullet-resistant glass, also known as ballistic glass, and security glass are specific types of laminated glass that have been designed and constructed for maximum strength and impact resistance.